A recent marketing grad sits down to dinner with her friends. In between discussions about their passion for ABC Crime Dramas and how to tell if a Tinder profile is “catfishing” you or not with their dreamy, dreamy eyeballs, the engineering contingent from Turner piped up about her love of equations. Her favourite? Ordinary differential equations. Mine? The Facebook algorithm. Constantly updating and evolving in an effort to ensure you get the best user experience from their product, Facebook works tirelessly on their algorithm. This algorithm determines (amongst other things) what you see and what gets buried under the constant stream of content. The most recent iteration of the Facebook algorithm saw updates to what the News Feed displays. “The goal of News Feed is to show you the content that matters to you. This means we need to give you the right mix of updates from friends and public figures, publishers, businesses and community organizations you are connected to,” says Facebook’s Product Manager and User Experience Researcher. As a Facebook user, what does this mean for me? For people who don’t have a lot of content to see, Facebook is allowing multiple posts from the same source to be visible. Previously, Facebook stopped the repetition of posts from the same source. On the other end of the spectrum, people who have a lot of connections (be that friends content or Pages they’ve liked) will see more of what they want. As opposed to just seeing what so-and-so has liked, Facebook is prioritising your friends own content – their videos, photos, status updates and links. This content will sit higher up in your News Feed, meaning you’re more likely to see it. Being the very clever algorithm it is, it will also determine what content you engage most with. That might include clicking on the latest news article, or it might be you tagging your friend in a post about the upcoming Country Road sale. As above, rather than seeing what content has been commented and liked by your friends as soon as you log on, this content will be pushed below the more relevant, important pieces of content you hope to see. The more likely you are to engage with the content, the more likely you are to see it. And their advice? “Pages should continue to post things that your audience finds meaningful and continue using our Page post best practices”. By creating content that your audience will value and creating a sense of community, you can ensure that Facebook remains a useful channel for meeting your marketing objectives. Key takeaway: To work within Facebook’s new algorithm changes, the more entertaining and interesting your business posts, the better. Have you seen a change in your News Feed recently? What brands and Pages have you seen cropping up? Let us know over on our Facebook page. Facebook releases new pages guidelines - are you ready? Google likes facebook plus 1? 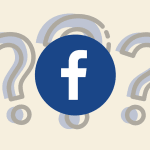 The evolution of Facebook Advertising: Video - Like or Dislike?